One of the most common things I hear from people when I ask how long a particular restaurant in Phoenix have been there is, "Since, like, forever". Actually, some people don't even pause, and they just say "Since forever!" 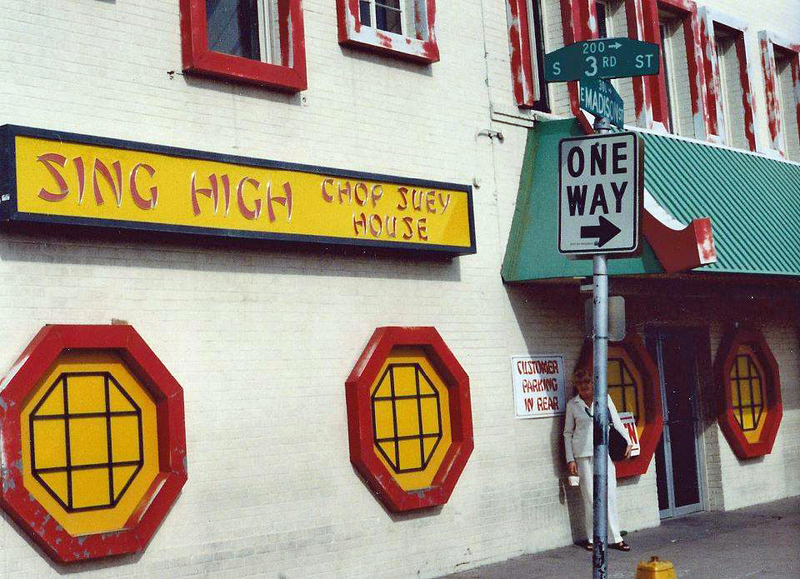 If the photo at the top of this post doesn't look familiar to you, even though you've been going to Sing High's since 1981, it just because that it is a photo of the original location, on Madison and 3rd Street. It had to move when the basketball arena was built. That's the Regency Hotel there on the left, so you're looking north. 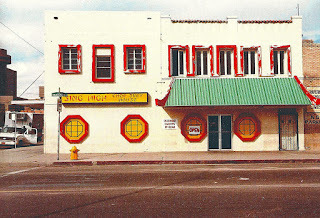 Sing High Chop Suey House in the 1970s, 3rd Street and Madison, Phoenix, Arizona. 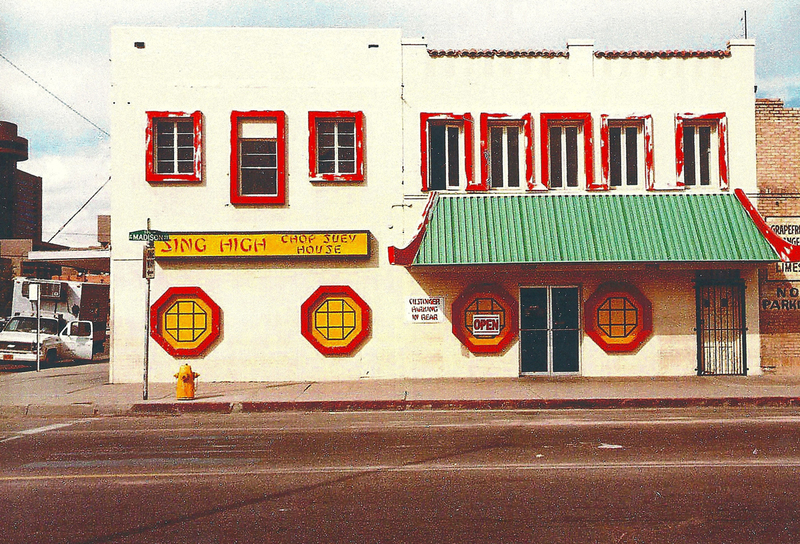 When I started my research on Sing High, I wondered just how long this restaurant had been in Phoenix? Since the '50s? '40s? '30? How about 1928! How about that? Now that's really "since forever" in Phoenix. 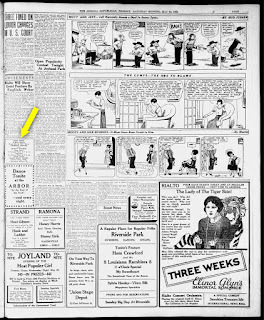 The business was started by a man from Canton, China named Yuk Cheung Lee, who simplified his name to Fred Lee when he moved to Phoenix in 1927. 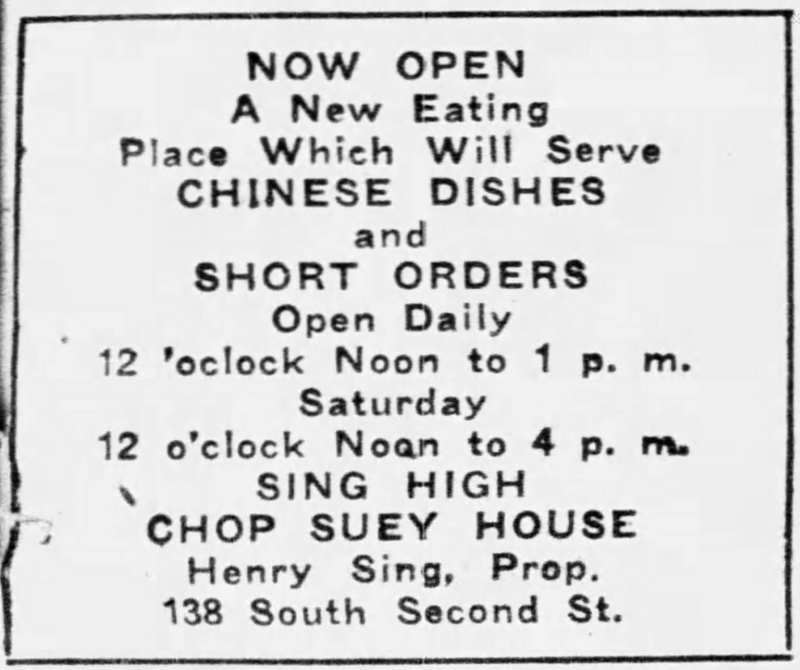 Lee decided to open a Chop Suey House, which he intended to call Shanghai (a city in China), but apparently the sign painter didn't really understand what he was saying, and Lee didn't speak English well enough at that time to realize that the name had been misspelled to Sing High. It's actually much more cheerful than Shanghai, which had a reputation of being a place that people who drank too much ended up in, after being pressed into service in a ship against their will. It was called being "shanghaied". 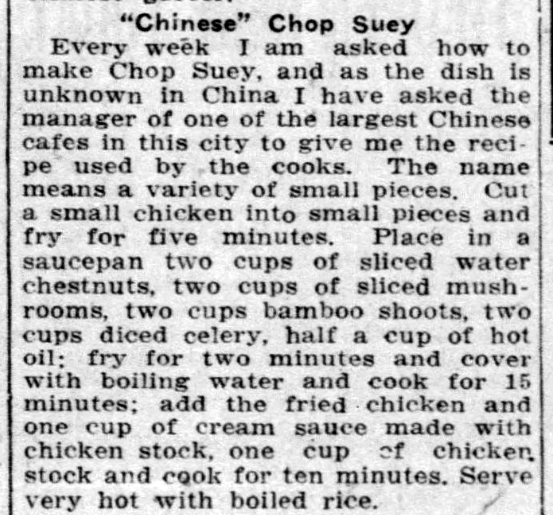 And also, before you get all upset and say that Chop Suey was never really a Chinese dish, consider that it had become very popular in places like San Francisco in the late 1800s, and was easy to prepare, and cheap, which the sailors really appreciated. And to be fair, a lot of popular "ethnic" foods nowadays are things that weren't exactly fashionable in a native country. Speaking for myself, pizza was something that my ancestors just made out of whatever was left over when they were through cooking, essentially just a way to get rid of the leftovers. But I digress. 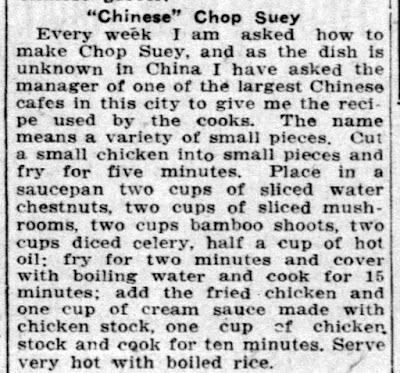 Chop Suey has been popular in America as a "Chinese Food" since the turn of the century. 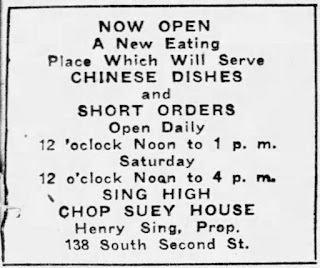 So if you wander into the Sing High Chop Suey House, which is now on Madison and 1st Avenue, go ahead and get yourself a big plate of chop suey, or chow mien. People have been enjoying it since, like, forever. 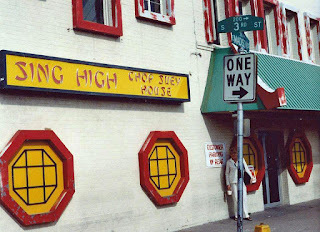 Image at the top of this post: Sing High Chop Suey House in the 1970s, in its original location, 3rd Street and Madison, since 1928. It's now on 1st Avenue and Madison. Update: August 11, 2016. Since this blog is about my journey of discovery, I was amazed to find out today that just about everything I wrote here is wrong, and the restaurant is actually older. It opened in 1924, owned by Henry Sing, and was at 138 S. 2nd Street. Based on his name, it would be reasonable to assume that there is nothing to the misspelling of the word Shangai story. 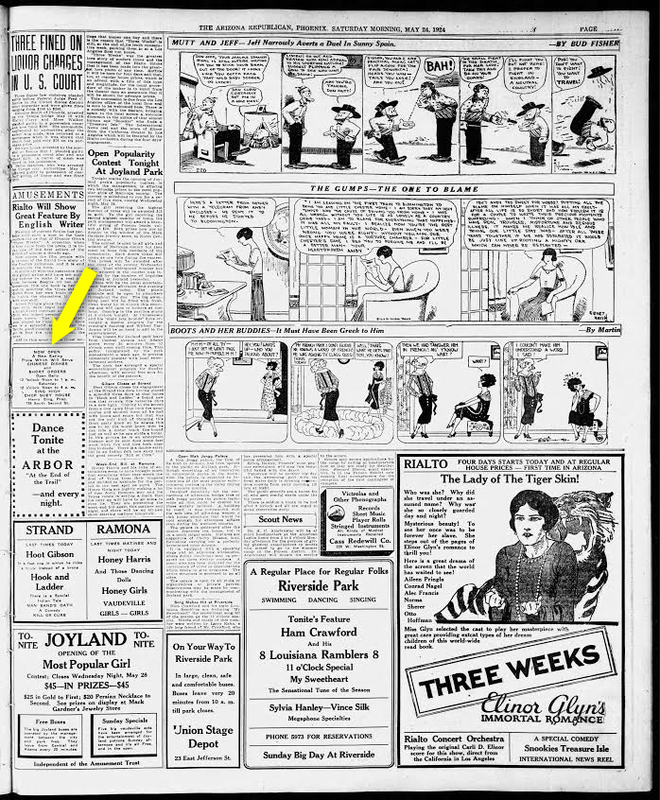 Here is the Grand Opening ad from May 24, 1924 (below). Since this is original documentation, and the rest of my research was based on modern articles, it just means that memories can be kind'a hazy. Let's go get some chop suey!